No one likes to talk about their own mistakes. They are an inevitable part of the human condition, highlight our flaws, inabilities and limitations and can place a spotlight on what happens when resources and people are stretched too thinly. In certain professions, including frontline social work, mistakes – however innocent or unintentional – can have potentially life-changing effects for service users. Keeping them to a minimum is of paramount importance. And it’s important that if mistakes have been made that they are not only rectified but also analysed to consider what went wrong, and what can be done to avoid the same thing happening again. For social workers the stakes could not be much higher – people’s lives are in the balance. So how can social workers not only recognise, reduce and rectify mistakes, but also use them as learning opportunities to improve performance and decision making in the future? It is important that practitioners and their managers know which strategies are most effective for them and their team when it comes to extracting valuable insight from mistakes. This only comes from having a strong and secure working relationship, where people feel able to talk openly and reveal insecurities and inadequacies, as well as recognising the positives within their practice. finding ways to feed back to an entire organisation regarding the lessons learned from mistakes and how they can shape practice in the future. 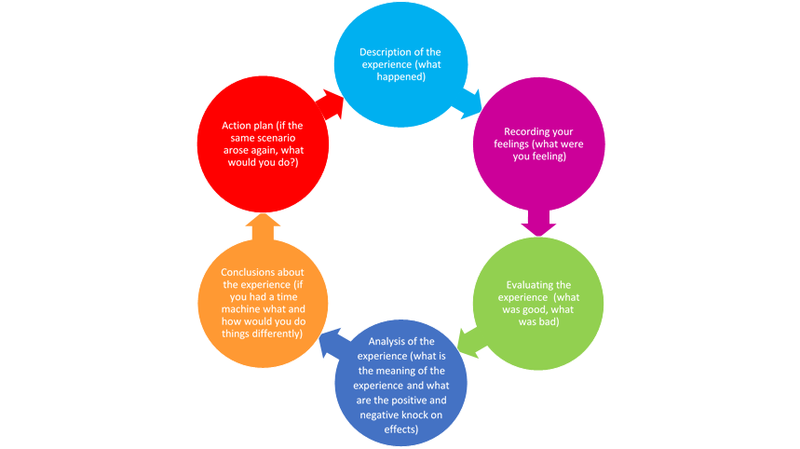 One of the traditional models of reflection for social workers is Gibbs’ cycle of reflection (1988). It can be useful to reflect at all levels, where possible, in order to get the most out of the experience and have the biggest impact with regard to what can be learnt from mistakes and how this can be passed to others to avoid them making the same ones. Although it may be uncomfortable at the time, social workers and people from other professions should welcome feedback from colleagues and service users as they can be powerful sources to drive professional growth. However, it is important to distinguish constructive feedback from blame. Highlighting helpful advice and using it in a constructive way is not the same as finger pointing and fault picking, and managers must develop the ability to distinguish between the two. Mistakes happen, and although we don’t like to talk about them, they can sometimes provide some of the most useful insight for learning and improvement within an organisation. Beyond the organisational level, personal reflection on practice and taking time to consider how you approach certain situations is a vital aspect of the self-aware, continual improvement that social workers must strive towards, even if they don’t always meet the exacting standards all of the time. Information Service members can also view some of our latest database additions, including the book Reflective practice and learning from mistakes in social work. Follow us on twitter to see what is catching the eye of our research officers. This entry was posted in Health and social care and tagged blame, feedback, learning, Mistakes, reflective learning, reflective practice, social work, social workers, supervision. Bookmark the permalink.